Well, hello lovely people! How it has come to pass that I have managed to get to the grand old age of 49 without so much as an utterance in the bloggisphere (is that a word? ), I will never know. According to my Assistant, Tina, every email I send out to the Choir is a blog in itself, so woo hoo, get me, the writer! Hmm, so what to write about in this, my Virgin Blog? 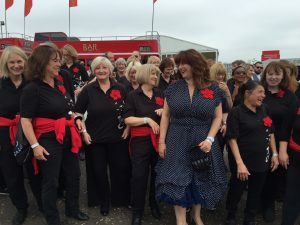 Well, its been been a very busy month for the Heart & Soulies which began with 40 or so of us singing to HM The Queen at the Epsom Derby on 4th June, and will finish up with us all entertaining the masses at the first Epsom & Ewell Arts Festival this weekend. In between that, we have sung at Elys in Wimbledon as part of their Summer Party, sung an emotional goodbye to a lovely choir member at her Memorial Service and welcomed new members to sing with us at our rehearsals in Cobham & Epsom, too. This term, our Theme is Adele, so we’re having a great, if not altogether surprising, time working on our arrangement of ‘Make You Feel My Love’ and I have to say it’s shaping up really well. Our mash-up of ‘Rumour Has It’ and ‘Someone Like You’ is also coming along nicely, and will provide us with a pretty cool couple of new songs to add to our portfolio pieces and to perform at our Summer Showcase on 15th July. I’m looking forward to it. I recently came out of a five year relationship and in my darkest hour I decided I should seek out the warm embrace of an old familiar love – singing. 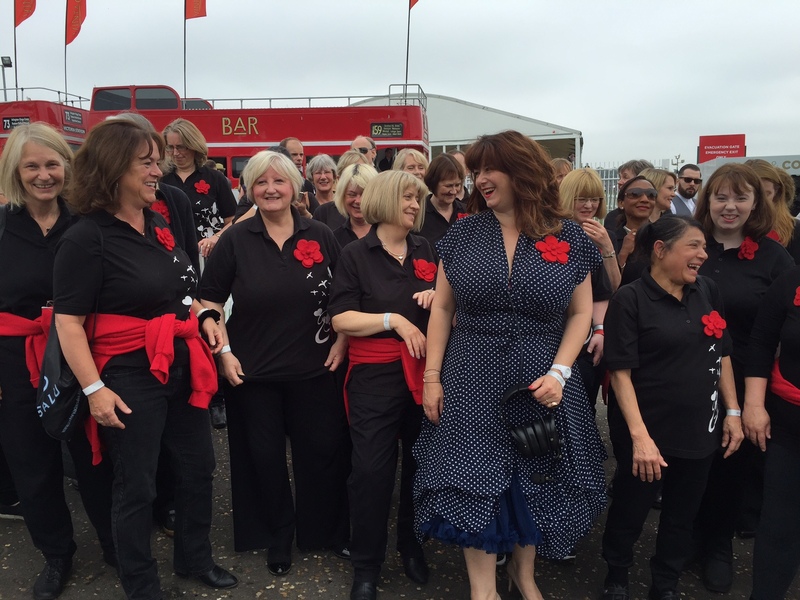 I heard about The Heart and Soul.Choir when Roz came to Toyota to be our scratch choir master, for our charity fundraising event. Who couldn’t love her and be happy in her company? I’ve been with the choir 3 weeks now and it’s the best thing I’ve done for a long time. Such a warm and welcoming group. It has certainly lifted my hear and soul.